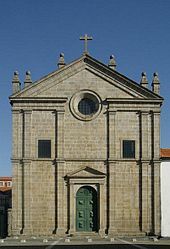 The Department of Chemistry is present on both campuses sites of the University, in Gualtar and in Azurém. The installations of the Department offer all the essential infra-structures with seven teaching laboratories and seventeen research laboratories. All the teaching laboratories are well-equipped for instruction in Chemistry with advanced instrumental methods such as liquid chromatography (HPLC), gas-liquid chromatography (GLC) and ultraviolet-visible, infra-red and atomic absorption spectroscopic. The seventeen research laboratories are equally well-equipped with instruments which permit characterisation by spectroscopic (NMR and FTIR), chromatographic (GC-MS and LC-MS), elemental and thermal (DSC and TGA) analytical techniques. The personnel of the Department include thirty four lecturer/researchers and nine technical and administrative staff-members. The Department of Chemistry not only provides teaching support for the degree course in Chemistry but also in various other courses of the Science and Engineering Schools. At a post-graduate level, the Department offers courses leading to Masters degrees and Specialist Course qualifications, both in the domains of Chemistry and multi-disciplinary fields, in collaboration with other departments of the School of Sciences and the Institute of Educational Science. The Departmental research activities are carried out within the Centre of Chemistry in projects associated in 4 research groups: Biological Chemistry, Synthesis and Application of Heterocyclic Compounds, Electrochemistry and the Environment and Synthesis and Application of Aminoacids. In addition to internal finance from within the University of Minho, the research projects are supported by external funds from the national Foundation for Science and Technology, from industrial service contracts and others from the European Community. Many of these projects are carried out in collaboration with national and international industrial and academic research partners, with whom researchers of the Centre maintain frequent contact. With highly-qualified human resources, state-of-the-art equipment and modern installations, the teaching and research staff have made a significant contribution to educational and scientific projects in fundamental and applied research in Chemistry. 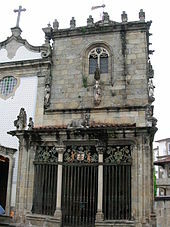 The Young Chemists Group of the Portuguese Chemistry Society, the 3B’s Research Group and the Chemistry Department at the University of Minho are pleased to announce the 5th Portuguese Young Chemists Meeting (5th PYCheM) and 1st European Young Chemists Meeting (1st EYCheM), which will take place in the historical and beautiful city of Guimarães - Centro Cultural Vila Flor, Portugal, from 26th to 29th April 2016. This joint event will bring together for the first time young chemists from all over the Europe, in a high quality scientific program covering most recent research in the different areas of chemistry (organic, inorganic, analytical, etc.) and at the interface of chemistry and other scientific fields (biology, medicine, nanotechnology, etc.). By attending to this meeting you will be able to present your results as a poster or oral presentation to a broad audience of chemists and professionals in chemical sciences. Don't miss this opportunity to network with your peers and interact with experienced professionals from academia and industry. Prizes will be awarded to the best oral and poster communications given by a young chemist. The Romans began their conquest of the region around 136 BC, and finished it during the reign of Emperor Augustus. The civitas of Bracara Augusta was founded in 20 BC; in the context of the administrative reorganization of these Roman acquisitions, Bracara was re-dedicated to the Emperor taking on the name Bracara Augusta. 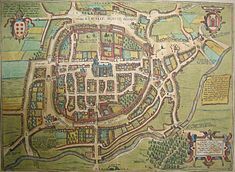 The city of Bracara Augusta developed greatly during the 1st century and reached its maximum extension around the 2nd century. 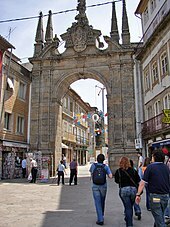 Towards the end of the 3rd century, Emperor Diocletianus promoted the city to the status of capital of the administrative areaConventus bracarensis, the south western area of the newly founded Roman province of Gallaecia. During the Germanic Invasions of the Iberian Peninsula, the area was conquered by theSuebi, a Germanic people from Central Europe. In 410, the Suebi established aKingdom in northwest Iberia, which they maintained as Gallaecia, and made Bracara their capital. 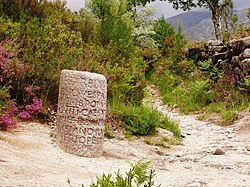 About 584, the Visigothic conquerors of Hispania took control of Gallaecia. 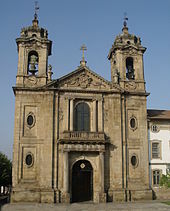 They renounced the Arian and Priscillianist hearesies during two synods held here in the 6th century. 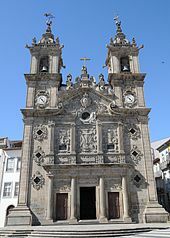 As a consequence, the archbishops of Braga later claimed the title of Primate of Portugal, then a county, and for a long period, claimed supremacy over the entire Hispanic church. Yet, their authority was never accepted throughout Hispania.